While it wasn’t received particularly well, you could see the line of thought behind the telco recruiting Steve Smith. In the ad, Smith admits to his past mistakes, talks about the importance of owning said mistakes, hints at some mental health struggles, and brings it back to his love of playing cricket. The general response has been that it was a bad move for the former Aussie captain from a PR standpoint, but I can understand how Vodafone thought they were on to a winner. Then, in follow-up, they’ve had Mike Whitney – in a none-too-subtle rehashing of his role as host of Who Dares Wins – getting former cricketers to commit ‘gutsy’ acts, like Jason Gillespie taking on his fear of heights. From a meaty concept – if not executed particularly well – to pure cheese in a matter of days. Meanwhile, a shining example of true guts has featured in the Aussie side for every one of the four Tests against India. Usman Khawaja may not have had the series with the bat that was hoped of him, but the fact he has strapped on the pads and faced up at all speaks volumes. Just days before the first Test began, Khawaja’s older brother, Arsalan Khawaja, was arrested by NSW Police. Now, while no arrest is to be taken lightly, the fact the AFP and ASIO are involved tell you just how serious this matter is. And while “perverting the course of justice and forgery making a document” sound almost like white-collar crimes, the words “alleged terror hit list” bring a whole other flavour. Particularly considering both Arsalan and Usman are Muslims who were born in Pakistan. Usman has written for Players’ Voice about growing up in western Sydney, being called a “F—ing curry muncher” (“I still don’t know how to actually munch curry,” he wrote), having kids at school start fights with him, and being racially vilified by the parents of opposition cricket teams. But the support of his family, his drive to succeed, and his obvious talent meant he rose above it all to play for his country. Of course, he didn’t actually support his country in his early years, writing, “I mean, none of them looked like us. I was brought up to believe if I didn’t drink alcohol growing up I was un-Australian. So then why should I support a country that doesn’t believe in me? 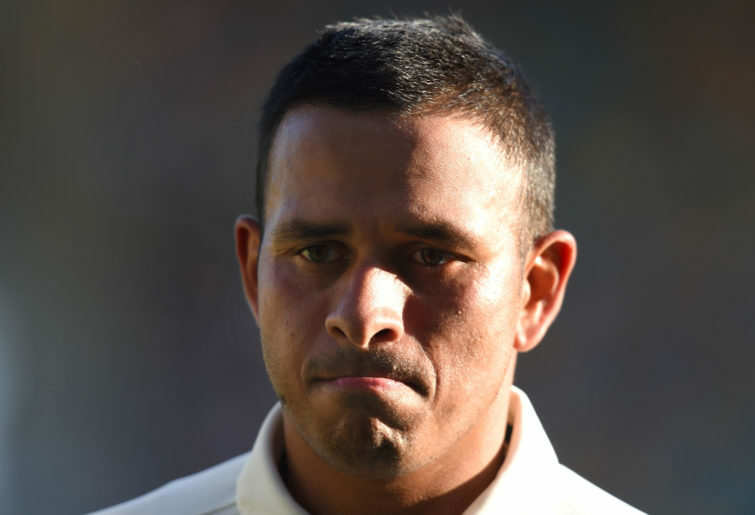 Usman Khawaja had so many reasons to throw in the towel, but he refused, and made it to the top. So maybe I shouldn’t have been surprised that he continued to show his courage this past month or so, by turning up to work with minimal fuss as his family were doubtlessly going through hell. In fact, the only indicator that anything unusual has been happening for him occurred this week, when a spectator at team training was reported to have sledged Khawaja about his brother’s situation. Usman’s response, according to the Sydney Morning Herald? Yet another display of courage and class, when Usman probably just wanted to drop the loud-mouthed dickhead. So while it’s been a disappointing series for Usman Khawaja with the bat, the fact he faced up at all – at a time when he would have been terrified for his brother’s future, to say nothing of the concern he must have had for how the rest of his family were faring – is a show of true guts.